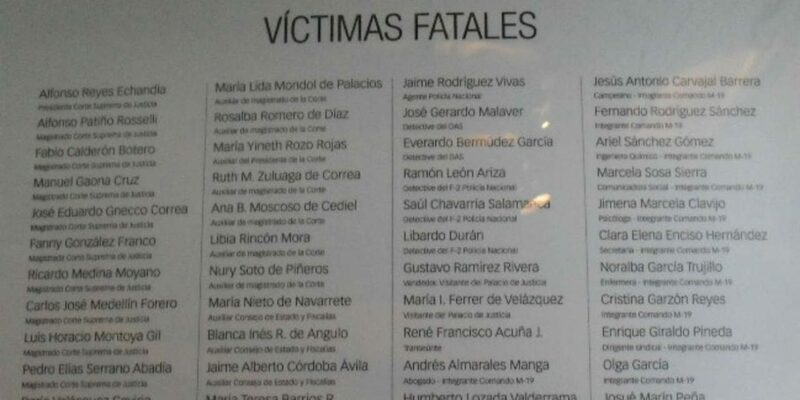 The new director of Colombia’s Victims Unit, the entity in charge of assisting victims of the country’s armed conflict, said Tuesday that 200 thousand people have falsely claimed to be war victims. According to the unit’s registry, the armed conflict that began in 1964 left 8.7 million victims of which more than 2% could be people falsely claiming to be victimized in order to obtain state compensation. If those registered victims are found to have committed fraud, said Unit Director Ramon Alberto Rodriguez, they will be eliminated from the registry and some reported to the Prosecutor’s Office. The Victim’s Registry was created in 2011 in accordance with a law intended to reimburse and provide immediate assistance to war victims and internally displaced people. Now, the office will analyze the 200,000 registers case-by-case, assessing data like addresses and affiliation to SISBEN, a Colombian body delivering subsidies to the country’s most vulnerable. that itself has been the subject of fraud. Rodriguez’s own office has been bogged down by controversies as well. In 2016, seven people including the former director if the Victim’s Unit were arrested and charged with embezzled over $77,000 in victim’s funds. And now as the Victim’s Unit begins to assess continued fraud within the system, the process may prove difficult than weeding out false names because some cases may stray into gray area. For instance, Rodriguez said many of the “false victims” could be people who, at the time, were living in a situation of great poverty and went through the process without a clear idea of the truth. Rodriguez also said that the Unit may once again open up the registry to new victims in the wake of the allegations and continued violence and displacement in rural areas of the South American country. Though violence has lessened across the country, Colombia still has 7.5 internally displaced people, more than any other country in the world including war-torn Syria. “The purging of the registry is done to know how many victims we have in the country and how we are going to serve them,” the director said.